David Axelrod-Songs Of Experience Vinyl. By 1968, composer, musicians and producer David Axelrod was just about to embark upon a solo career after nine years working in the music industry. Buoyed by the experimental climate of popular music, David Axelrod wrote and recorded what was akin to a suite-like tone poem that was based on Songs Of Innocence an illustrated collection of poems written in 1789 by William Blake. The poet had inspired many composers and musicians during the twentieth century. In 1968, David Axelrod released his William Blake inspired debut album Songs Of Innocence, which sold just 75,000 copies. This was disappointing given that Songs Of Innocence was groundbreaking album. Despite the disappointing sales of Songs Of Innocence, David Axelrod began to write the material for his sophomore album Songs of Experience which has just been reissued by Now Again Records. Songs of Experience was also inspired by William Blake’s poetry, but explored the darker side of humanity drew inspiration from composer Gunther Schuller’s Third Stream concept. David Axelrod’s sophomore album Songs of Experience was an ambitious and innovative album. He had come a long way from his days as a boxer. Before embarking upon a career in music, David Axelrod had enjoyed what can only be described as a chequered career. He had started off as a boxer, before changing direction and finding work in film and television. However, in 1959 David Axelrod embarked upon a musical career when he produced Harold Land’s album The Fox. This launched David Axelrod’s nascent musical career. Four years later, David Axelrod was hired by Capitol Records as a producer and A&R man. Initially, he worked with R&B artists, including Lou Rawls who was signed to Capitol Records. David Axelrod produced a string of hit singles for Lou Rawls, his Live album and several albums that were certified gold. David Axelrod was the man with the Midas Touch. Soon, David Axelrod was working with jazz saxophonist Julian “Cannonball” Adderley, and produced his 1966 Grammy Award winning album Mercy, Mercy, Mercy! Live at “The Club.” The album also featured the hot single Mercy, Mercy, Mercy which reached number eleven in the US Billboard 100. By then, David Axelrod’s star was in the ascendancy at Capitol Records. It was around this time, David Axelrod began working with some top session musicians including drummer Earl Palmer, bassist Carol Kaye and guitarist Howard Roberts. This band would play an important part in David Axelrod’s future. David Axelrod wrote and arranged Mass in F Minor and Release of an Oath for the psychedelic rock band The Electric Prunes. The only problem was that both songs were complex pieces of music. Mass in F Minor consists of a mass sung in Latin and Greek and performed in a psychedelic style. However, there was a problem, it was too complex a piece for The Electric Prunes to record and it was recorded by David Axelrod’s band. This lead to The Electric Prunes disbanding and David Axelrod’s band completed the albums. Executives at Capitol Records were grateful that David Axelrod had rescued what was a particularly tricky situation, and wanted to reward him for his recent success. This resulted in David Axelrod being allowed to record his debut solo album Songs Of Innocence. By them David Axelrod was watching trends in popular music and realised that there was a new breed of record buyer with much more sophisticated taste than the three chord pop of the early Beatles’ record. They were willing to embrace and buy much more experimental sounding albums, including two of the best known, The Beach Boys’ Pet Sounds and The Beatles’ Sgt Peppers Lonely Hearts Club Band. Both of these experimental had been hugely successful, and was proof to David Axelrod that there was a demand for this type of music. Over the space of a week, David Axelrod wrote seven compositions and borrowed titles from William Blake’s poems. The compositions death with a variety of themes, ranging from visions, religious iniquity, rite of passage and life experience after a person’s birth and innocence. After just a week, David Axelrod had completed Songs Of Innocence, which was his homage to William Blake. David Axelrod had been captivated by William Blake’s poetry since he was a teenager and seemed to relate to the poet. Neither William Blake nor David Axelrod were regarded as sociable men, and this could’ve hindered the producer’s career. However, he had a successful track record as he began recording Songs Of Innocence in 1968. Having written Songs Of Innocence in just one week, David Axelrod arranged the seven tracks which he intended to produce and add the vocals to. Now he was ready to record his debut album, and work was scheduled to start in mid-1968 at Capitol Studios, in Los Angeles. David Axelrod decided to use many of the musicians that he worked with on a regular basis. This included drummer Earl Palmer, bassist Carol Kaye and guitarist Al Casey. They were joined by percussionist Gene Estes and organist and pianist Don Randi who would conduct the string and horn section that David Axelrod planned to use on Songs Of Innocence. They would allow David Axelrod to create his musical vision. Songs Of Innocence was essentially an instrumental album of jazz-fusion, but incorporated elements of baroque pop, blues, classical music, funk, jazz, liturgical music, pop, psychedelia, R&B, rock and theatre music. During Songs Of Innocence, David Axelrod used contrast extensively during the orchestral compositions which was peppered with euphoric psychedelic soul and dramatic, sometimes, distressing arrangements to reflect the supernatural themes that are found within William Blake’s poems. So does the music’s almost reverential psychedelic undercurrent which brings to mind the themes of innocence and spirituality that is a feature William Blake’s poems which inspired David Axelrod to write such an ambitious album as Songs Of Innocence. His arrangements on Songs Of Innocence accentuated the pounding drums played in 4/4 time, complex baselines, searing and gritty guitars, sweeping melodramatic and progressive strings, organ parts designed to disorientate and blazing, dramatic horns. David Axelrod who had written Songs Of Innocence in the rock idiom, but used a mixture of jazz, rock and classical musicians to record his debut album. They were all comfortable when David Axelrod asked them to improvise during this psycheliturgical opus. David Axelrod had been influenced by György Ligeti’s 1961 piece Atmosphères, and Lukas Foss’ concept of starting a piece with a sustained chord and improvising for over 100 bars, and ending on a different chord. However, it wasn’t joust improvisation that David Axelrod embraced. David Axelrod encouraged musicians to use various sound effects, including reverb and echo during the recording sessions. This included adding echo to breakbeats to reflect the spiritual nature of William Blake’s poetry. For much of the album, David Axelrod’s rock orchestra painted pictures with music which veered between spartan, dramatic and harrowing to liturgical, ruminative and celebratory. As the music changed, so did the rock orchestra. Seamlessly David Axelrod’s rock orchestra changed direction and were transformed into a vampish big band. Other times, they played bluesy bop or locked into a jazzy groove and on occasions started to swing. embraced psychedelia deploying organ licks that seemed to be designed to disorientate and gritty guitars. Then as The Mental Traveler was recorded, David Axelrod was keen to embrace and experiment with atonality. However, he felt that music that lacks a tonal centre of key was a step too far even on such an ambitions and innovative album as Songs Of Innocence. When David Axelrod completed recording his suite-like tone poem, everyone who had worked on the concept album realised that it was an impressive, innovative and immersive album, that was ambitious, cerebral. However, the big question was what would the critics who make of Songs Of Innocence? Not only was Songs Of Innocence David Axelrod’s debut album, but it was ambitious concept album inspired by William Blake’s poetry. This was too much for many critics, and the album regarded as something of a curio when it was released in October 1968 by Capitol Records. Many critics failed to understand what was essentially a mixture of genre-melting music, mysticism and philosophy that was cerebral, creative and showed just how much music had changed over the last few years. 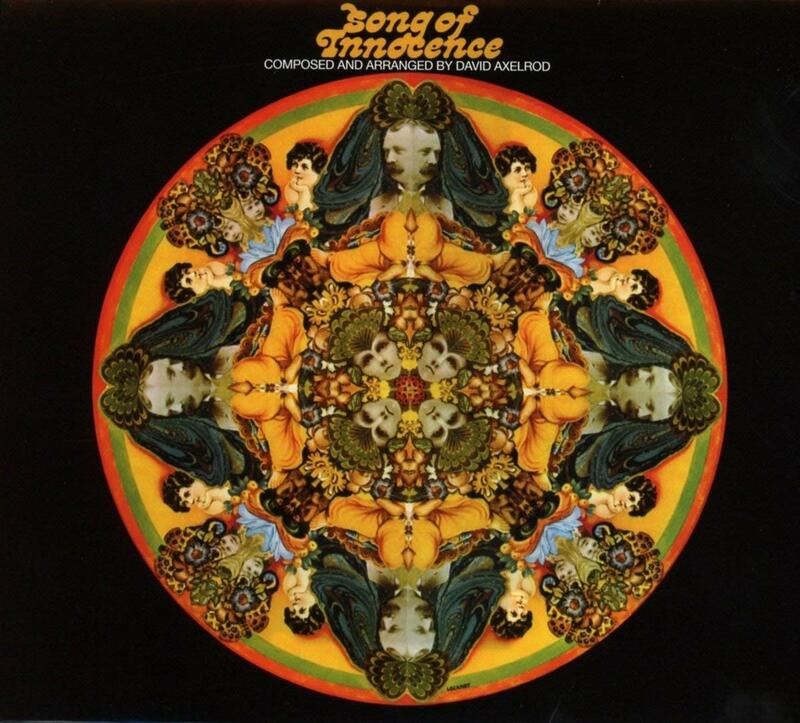 David Axelrod’s suite-like tone poem Songs Of Innocence, was a long way from Love Me Do in 1962. Music was changing, and record buyers were embracing much more experimental and sophisticated music. This augured well for the release of Songs Of Innocence. Sadly, when Songs Of Innocence was released in October 1968, the album wasn’t the commercial success that David Axelrod or executives at Capitol Records had hoped. By October 1969, Songs Of Innocence had only sold 75,000 copies in America. Despite the disappointing sales of Songs Of Innocence, David Axelrod began working on his sophomore album Songs of Experience. For his sophomore album David Axelrod returned to the work of poet William Blake for inspiration, and especially his collection Songs Of Experience which was published in 1794. David Axelrod the self-confessed “Blake freak” chose eight poems from Songs of Experience which lent it name to his sophomore album. William Blake was David Axelrod’s major influence, as explored the darker side of humanity on Songs Of Experience. The composer had been captivated by William Blake’s concept of birth and innocence, as he explored the theme of life experience, rite of passage and the changes of perspective in life during the writing and recording Songs Of Innocence. However, when David Axelrod wrote Songs Of Experience, he focused on William Blake’s concept: “of awareness after birth.” This wasn’t David Axelrod’s only source of inspiration for Songs Of Experience. Another source of inspiration for David Axelrod during the writing ad recording of Songs Of Experience was composer Gunther Schuller’s Third Stream concept. This was part of what was another ambitious album that David Axelrod planned to record. To record Songs Of Experience, David Axelrod brought onboard many of the musicians that recorded Songs Of Innocence. However, it took over thirty musicians to record what David Axelrod knew was a groundbreaking, genre-melting album. 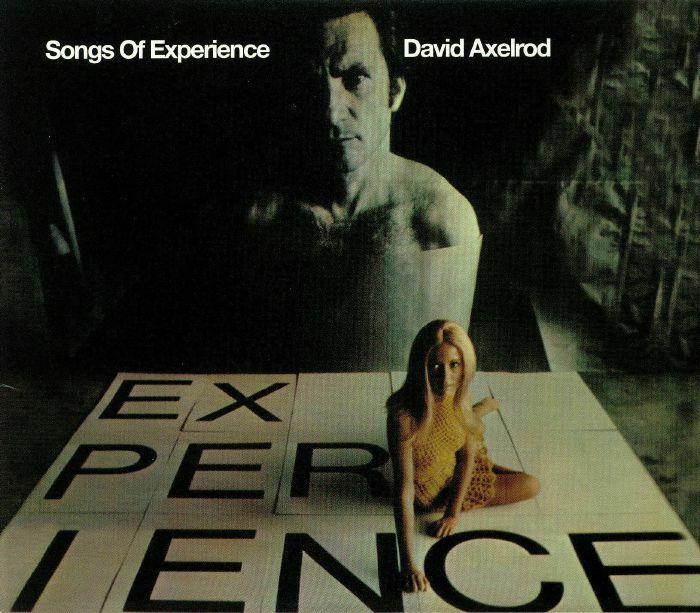 David Axelrod’s sophomore album Songs Of Experience, was essentially a fusion album, but incorporated elements of European classical music, British and Irish folk music, percussive sounds and baroque arrangements. Meanwhile, the melodies and rhythms on Songs Of Experience ranged from pop, R&B and rock. However, this time, this time, the suite on Songs Of Experience which relied less on rock influences, and was much more symphonic. While this was a stylistic departure, for David Axelrod, Songs Of Experience was another major work that had the potential to enhance his reputation. That was no surprise given Songs Of Experience’s the compositions to the eight genre-melting track were so different, and featured lush arrangements that were dramatic and rich in imagery. David Axelrod was bringing William Blake’s music to life by using his entire musical palette to paint pictures and allow him to explore much darker and ruminative sounds on Songs Of Experience. It was an album that should’ve captured the imagination of critics. Sadly, when Songs Of Experience was released by Capitol in 1969, very few critics realised the importance of what was a truly groundbreaking and innovative album. To rub salt into the wound, Songs Of Experience sold less that the 75,000 copies that Songs Of Innocence sold. David Axelrod decision to create ambitious and innovative music wasn’t rewarded. It wasn’t until much later that critics realised the significance of Songs Of Experience, which was hailed as an important, innovative and inspirational album. By then, Songs Of Experience was a favourite source of samples for hip hop producers. However, it was just a coterie of appreciative record buyers who had embraced and flew the flag for what was David Axelrod’s William Blake inspired cult classic Songs Of Experience which broke new ground and somewhat belatedly, became part of musical history. ← ARVE HENRIKSEN-THE HEIGHT OF THE REEDS.